Jumpgate (aka JG; Jumpgate Classic JGC) was a space MMOG by Netdevil, running from 2001 to 2012. 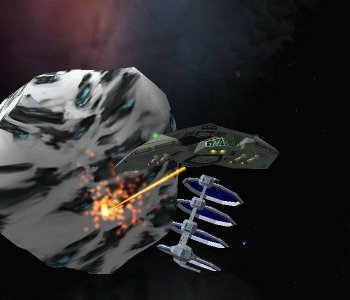 During that time, I had a website (“www.myrotacol.net”) up for game related topics and tools (mostly dealing with ingame asteroid mining and a tool called JGRotPro). As per request, I have put some of the old files up for download here. Note that this is only a rather small selection of the original data (which grew quite large over time). Also, the online services used by some tools are not active anymore (obviously). A funny video clip made by some JG employees (iirc). Zipped *.mpg. Third party ingame tool for JG. Zipped installer. A pdf to print out (keyboard reference card). 2006 2 MB JGRotPro Addons (as available at game shutdown. Some may still work, some won't). Download the “Final Beta Installation Package” and unzip it to a temporary directory. Run the file “Install.exe”. 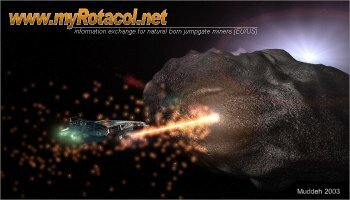 JGRotPro will be installed automatically. You are not yet done ! In the newly created JGRotPro directory (usually below the “/Programs” or “/Programme” folder), you will find the file “d3d8.dll”. It is important that this file is copied to your Jumpgate directory (where jumpgate.exe is located). This must be done manually. Although this file (d3d8.dll) is named exactly like a DirectX file, it isn’t one ! Do not, under no circumstances, copy this file to your [windows]/system32 directory (thus overwriting the existing system file with the same name, damaging your DirectX installation). In case you experience errors or crashes on JGRotPro or Jumpgate startup, please refer to the file “info.txt”, located in the JGRotPro/dll” directory.